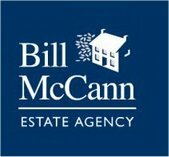 Welcome to our on-line home We hope you find the Bill McCann Website both informative and useful. If you require further assistance or would like to arrange a pre sale valuation please do not hesitate to contact us by telephone, fax, email or why not call in person to meet us! EASTWOOD ESTATE AGENTS have been established in Northern Ireland since 1985 and are one of the longest established privately owned Estate Agents in Lisburn. We offer a personal, professional service for all your property requirements including commercial residential sales and managment all at competitive rates. So whether you are a homeowner, investor, purchaser or tenant we can assure you of our best attention at all times and look forward to welcoming you soon. Easylet is a new Property Lettings & Management company offering a fresh approach to the local residential rental market. As a Lettings Agency we are focused solely on Property Lettings and Management, so we can focus on sourcing the perfect tenant for our landlords and can also ensure that the property is being suitably respected and properly maintained. We offer flexible appointments, including evenings and weekends, whether it be a valuation or a viewing, we believe that customer service should not be exclusively 9 to 5. Founded on traditional and reliable standards, Falloon Estate Agents are delighted to bring a professional and approachable style of estate agency to the market place. Fully experienced in the whole sales process from valuation through to completion, our staff aim to make the whole house buying and selling process as stress free as possible. We are a member firm of the Ombudsman Scheme for Estate Agents and under the management of a Chartered Surveyor, assuring clients of the highest levels of professional expertise and integrity. We hope you find our website both interesting and useful and, whether selling or buying, look forward to being of service to you in the near future. From humble beginnings in Bachelors Walk, the company has grown from strength to strength to become a leading name in the local housing market, our commitment to remain the best, highlighted by our new state of the art showroom in Market Place. Headed by Fred Dalzell, previously a partner in ‘Osborne King & Megran', alongside fellow Directors Ken Bell and Jonathan Taylor, the company has built up a strong reputation for a quality service our clients can rely on. The dedicated and experienced sales team provide a professional yet personal service ensuring as smooth a transaction as possible at all times. June 1998 saw the opening of our second office in Portrush covering sales and lettings around Portrush and surrounding North Coast localities. Our third office was opened in May 2005 in the centre of Ballynahinch, providing an even stronger coverage in the greater County Down area. The company specialises in Residential Sales right across the board, from first time buys to country estates. Henry Graham, principal of Henry Graham Estate Agents, brings his 20 years of experience in this field to central Lisburn. He has enjoyed many successful years in the City of Lisburn and is a well known and respected member of the profession. With trained negotiators and in-house Mortgage and Financial consultancy, the firm intends to offer a complete service to both sellers and buyers across a wide area of Antrim and Down. WELCOME TO LetsRent(ni) The Letting and Property Management Specialists. LetsRent(ni) offer Low cost and Innovative Solutions for both Property Rental and Property Letting AND deliver a quality of service that is second to none. Why should LetsRent(ni) be my No.1 choice when Renting or Letting a property? We are all aware of the quiet market we are experiencing at present. The realisation is that we will have to work within the current economic climate for some time to come. Our Sales Team are not sitting back, we have redesigned the website to command fresh attention and participation. The lower interest rates also offer a positive vibe. Despite the down turn market conditions these efforts have combined to contribute to some surprisingly successful sales. Propertynews has the most comprehensive and up-to-date listings of property for sale in Ireland. The website is tailored to allow users to comprehensively search for rental property, new homes and property for sale in Ireland. Additional facilities include commercial property and overseas property listings. Listing a Property on PropertyPal.com We're really excited that you want to list a property with us. It's a great idea! We're Northern Ireland's fastest growing property website, and listing properties is free. Property listings on PropertyPal.com are submitted directly by estate agents. If you're selling or renting a property and your estate agent isn't taking advantage of your free listing, contact them today about using PropertyPal.com. Reeds Rains Estate Agents in Lisburn, is uniquely situated in Market Street, just off the pedestrian shopping in Bow Street, it is perfectly positioned to offer a wide range of property services. With a wealth of estate agency experience, our property professionals are happy to guide you through a hassle free transaction, whatever your needs may be. We are proud to be part of one the largest estate agency chains and are confident that our wide marketing exposure and branch network will make us the right choice for all your property needs, be it selling, buying or financial advice. We look forward to hearing from you. The Robert Wilson Estate Agency Group has quickly grown to become one of Northern Ireland's premier estate agents, with its head office based in Moira, Co Down. Our commitment to service excellence is at the heart of our company philosophy with trained and enthusiastic staff eager to help vendors and buyers alike through that emotive and stressful time of house selling and purchasing. Moving home can be a stressful event. At Shooter Property Services we do not take this for granted and this is why our dedicated team make it their priority to do everything they can to make your experience a simple and pleasant one. Shooter Property Services are the only firm of Estate Agents with a complete branch office network along the A1 Belfast/ Newry Euroroute with modern showrooms strategically placed in Lisburn, Banbridge and Newry. Each office is serviced by our highly motivated experienced staff that uses state of art IT systems and specialized software to help them sell your home for the best possible price in the quickest possible time.